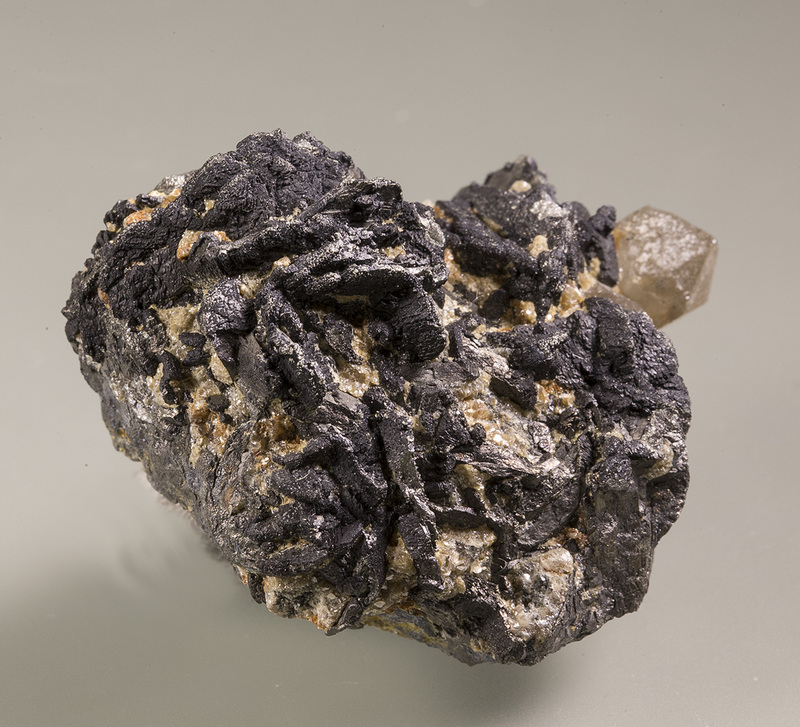 From the Bodo Moniac collection comes this sample with arsenopyrite/geyerite and quartz. 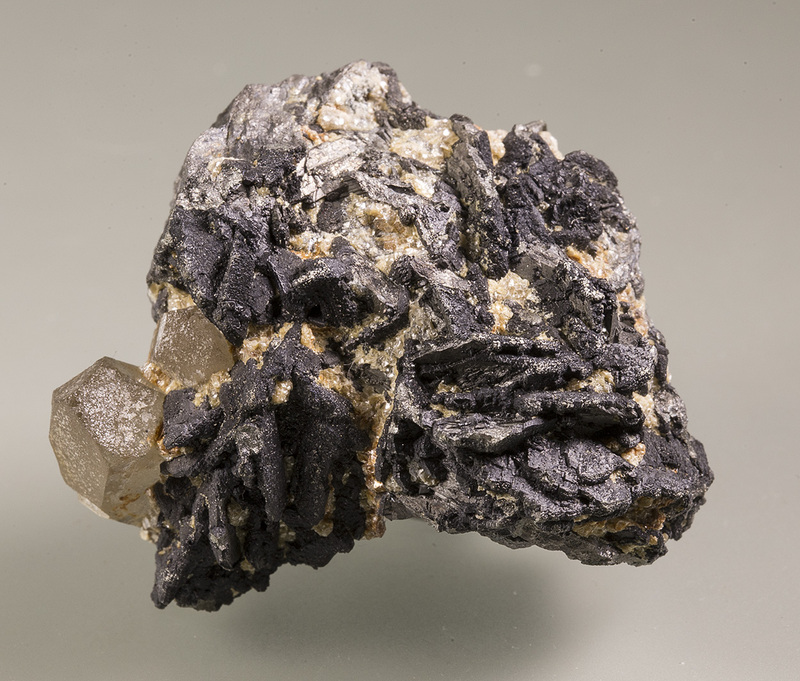 Label states Geyerite which is sensu strictu a variety of Löllingite where some As is replaced by S. The crystal shape is more like arsenopyrite though and is in line with the old description of Geyerite from Ehrenfriedersdorf. 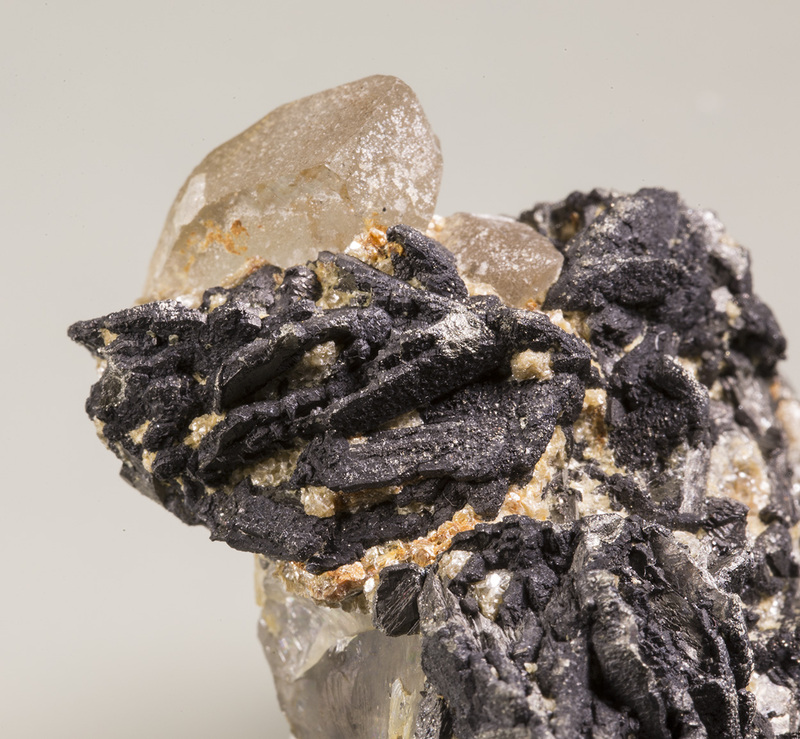 Analysis would be needed for exact ID.